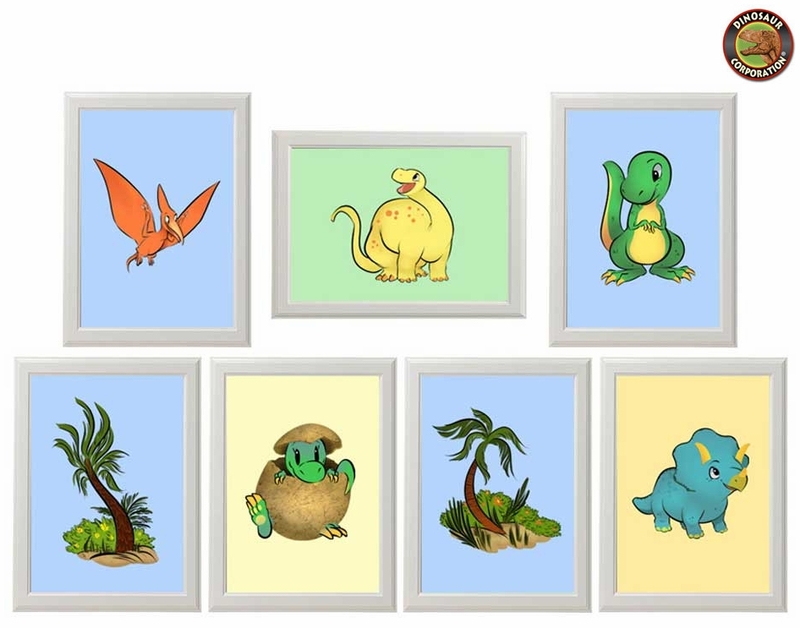 Baby Dino Art Pictures Collection is a perfect wall decoration for your child dino room featuring T-rex baby in egg, Pteranodon, Triceratops, Brachiosaurus, T-rex and two dinorama palms. This is a unique set of happy baby dinos art pictures to decorate your kids dinosaur bedroom. It makes a good start to learn about dinosaurs.